Attention Investors! 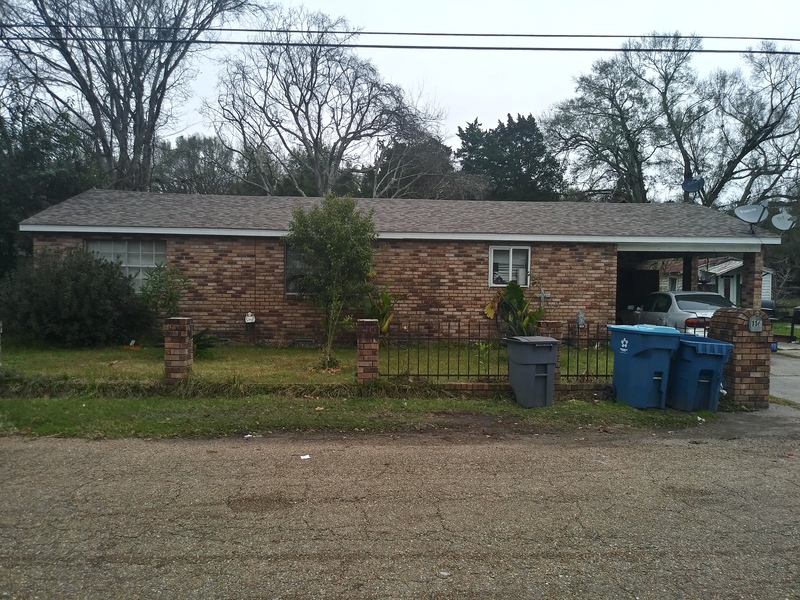 This 3-bedroom, 2.5-bath house with an active tenant is just waiting for you to make it your next rental or flip. It also includes a dining area and a large living/family area. The $675 lease, which renewed with this long-time tenant on January 1, 2019, expires December 31, 2019. A sizable $604 of the $675 is currently being covered by Section 8. There are no HOA fees, and all utilities are paid by the tenant. The reason the asking price is not set over $75,000 is because the house could use some repairs and TLC. It passed section 8 inspection in early 2018, but it will take you to turn it into a masterpiece. You’ve got the vision. Make it come alive! This is a limited service listing. Sellers represent themselves. Seller is Joel Johnson (337-326-0879; joelfromla@gmail.com). Seller will negotiate for themselves. Send offers to reliancerealestategroup@gmail.com and copy all offers to seller at joelfromla@gmail.com. Contact seller for anything else in regards to this listing. Schedule all showings through CSS. Reliance Real Estate does not hold property deposit checks. LA/LO will NOT Advise the seller on PA’s; LA/LO will NOT Arrange Appointments; LA/LO will NOT Assist seller in counteroffers; LA/LO will NOT Negotiate for the seller. Call the seller, Joel Johnson, at 337-326-0879 for even more information and don’t forget to Like us on Facebook!! !